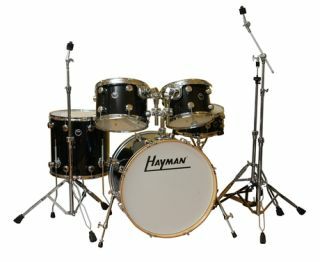 An iconic name from the past is returning to the drum world later this year as Hayman relaunches. The firm, which first began operating in the '60s, will return to a drum store near you from November. Originally the creative vision of Ivor Arbiter, Hayman drums stood out from the pack thanks to their metallic-sheen wraps and attracted a handful of big-name endorsees, with Mitch Mitchell, Ronnie Verrell and Aynsley Dunbar among those to play a Hayman kit over the years. Details on the finer aspects of this return are sketchy at the minute, but we can't wait to see exactly what the guys at Hayman have come up with.